The Great Beyond prove to be time-travelling, hard rocking stalwarts on their catchy debut LP. Hey, we got something special for you today! Not only do we have a review of the self-titled debut album of Germany’s The Great Beyond, but we are also premiering the full album stream! Take a look at my thoughts on the album, then check out the stream at the end of the article to see what you think. To The Great Beyond, heaven is sturdy riffs and retro grooves – a faithful worship of a simpler time. Stepping into their scene fills your periphery with history. So many other bands have tread this path intersecting the roads of heavy rock and blues, but the German trio seek to do this music justice by bringing it to 2019 with a rapturous wail of the guitar and a plan to rock harder than their contemporaries. This is a plan they see through to completion, a couple small wrenches in the gears notwithstanding. I imagine people that have a predisposition towards this retro, bluesy rock will get the most out of The Great Beyond. If it suffers from anything, it’s an over-commitment to their sound. It’s good stuff, and it has a tasteful blend of an older sound with newer enrichment to make it pretty universally palatable; you just have to know what you’re getting into beforehand. That’s why I’m here! 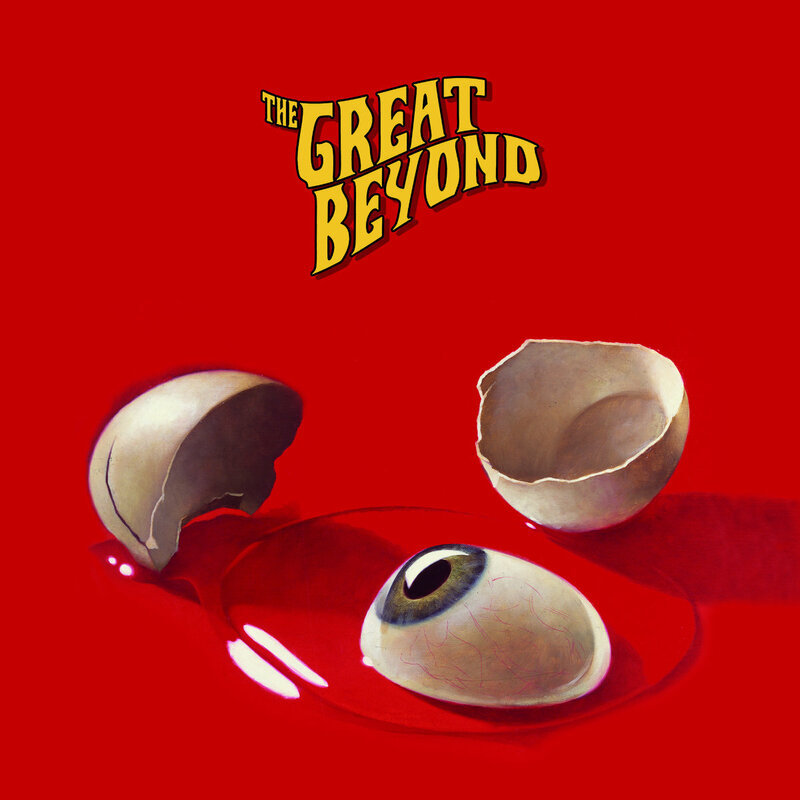 My cheat sheet for The Great Beyond would yield some comparisons to early Blue Öyster Cult, AC/DC, or Deep Purple, but, like any great band, they have ways of standing out from the pack. For one, The Great Beyond plant a firm flag into mid-tempo and defend it like it’s the last bastion of rock and roll. There is nary a moment where they feel the need to slow down for longer than a tasteful intro or bite-sized instrumental break, or speed up with singeing solo work (though the leads are still impressive). “Maddest Man” is a wonderful entry point, despite being in the middle of the album. This track’s dancing guitars are coated in just a little twang while the clear vocals are prominently featured in the foreground. It becomes apparent quickly on tracks like this and “Slip Away” that this album has more hooks than a fisherman’s tackle box (you can read some of my thoughts on “Slip Away” on our premiere article for it). “The Ride” sounds like taking a motorcycle road trip while wearing a criminal amount of denim with leather tassels, the handlebars of your bike matching the mustache on your face. It’s a smooth endeavor that indulges in the freewheeling, free-spirited zeitgeist that pervaded the Swingin’ Seventies. There’s something really intimate about this song, likely chalked up to the lovey-dovey lyrical theme, but it’s also imbued into the sound of the music itself. It’s easily my favorite moment on the album – a repeater for sure, and even something I could see taking over karaoke nights with its soaring chorus and relatable lyrics. This album falters slightly with “Trapped in the Net”, a reminder to not get too absorbed in the digital worlds we often take refuge in. I’ve always found songs about the ills of technology a little corny, as well-intentioned as they are, but that aside, the music even sounds bland aside genuine speaker thumpers like “The Ride” and “Out of Time”. This is but a speed bump in the road for the record overall, but, to my point earlier, I can see the commitment to this particular sound as potentially limiting. My admiration for it is deep – surely that shows in this review – but I worry people might brush the band off as a simple ‘dad rock revival’ without delving deeper and experiencing the unadulterated grooves on display here. If nothing else, you can fool your parents into thinking The Great Beyond are a band from four decades ago (tried it on my mom, it worked). For those of us, no matter the age, that have a deep appreciation for the straightforwardness of older music, you’re looking at a wonderful time. Time-aged vocal techniques, rocking guitars, formidable drums, and solid writing keep the party going well into the next day. In the future, I hope the band experiments a bit and progresses even further into heaviness and catchiness. For now, I’m a believer in The Great Beyond. But don’t just take my word for it, check out the full album right here, right now! Special thanks to all involved for working with us and making this happen. You can pre-order the album right here! Previous PostEndon Make Some Serious Noise with New Single "Doubts As a Source"
Next PostThe Yacht Club - "The Last Words That You Said To Me Have Kept Me Here And Safe"